Silver Woods is an active lifestyle community located in Ocean View in Southern Delaware. 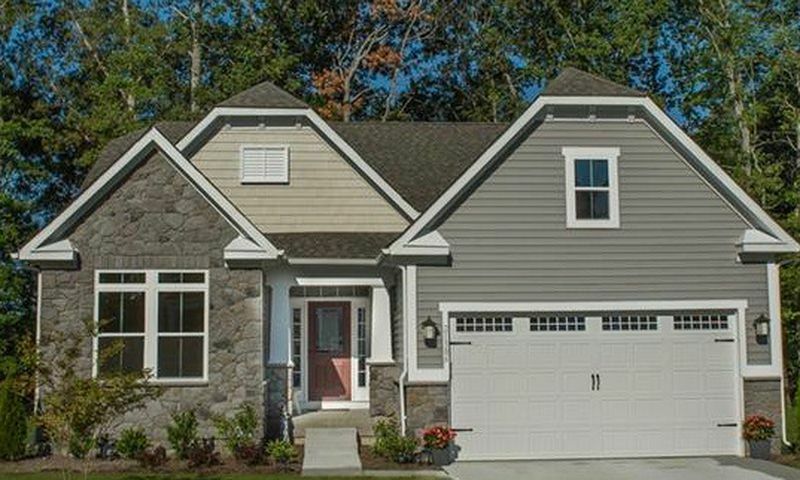 Ryan Homes is building the planned 346 single-family homes. Though the community is not age restricted, it has features like first-floor master suites, low-maintenance homes, and amenities that appeal to active adult homebuyers. Residents will enjoy the natural beauty of Sussex County with its wooded areas and sandy beaches. The historic, oceanside resort town of Bethany Beach is just three miles away offering quaint shops, cultural attractions, and picturesque views. Amenities at Silver Woods will be based at the clubhouse in the center of the neighborhood. Multi-purpose rooms will provide residents with flexible space to hold a meeting or community gathering. An outdoor pool is perfect for an invigorating swim. An adjacent patio is ideal for enjoying pleasant days coastal Delaware with a good book. Great care has been taken to preserve the natural beauty surrounding Silver Woods. Green spaces and walking paths all residents to enjoy these natural features. Upon completion, Ryan Homes plans to build 346 single-family homes. Six floorplans range in size rom 1,407 to 2,378 square feet with two or three bedrooms, two or three bathrooms, and attached two-car garages. Home are customizable with optional second-floors and bonus rooms. All homes are built with first-floor master suites with walk-in closets and many bathroom options. Welcoming, open floorplans with energy-efficient features, large kitchen islands, and flex spaces further enhance the appeal of Silver Woods. Residents of Silver Woods enjoy a relaxing lifestyle in one of Delaware's most sought after coastal communities. Homeowners can plan community get-togethers and holiday parties using the clubhouse's multi-purpose rooms. A pool allows for brisk swims or a leisurely dip on a warm day. Residents can enjoy the idyllic natural surroundings while relaxing on the patio or on a stroll using the walking trails. Homeowners will have more time to enjoy the activities they love, knowing that common area maintenance and lawn care will be taken care of by the homeowners' association. Silver Woods is located in Ocean View, Delaware, part of Sussex County and just three miles from the Atlantic Coast. Daily errands and shopping are easy with a Giant Foods, banks, restaurants, and a post office a short six-minute drive to the north in Millville. Golfers will love the three golf courses within four miles of Silver Woods, including Bear Trap Dunes Golf Club just across the street. Heading east along Garfield Parkway, one will find more restaurants and retail stores and, just three miles farther, the quaint oceanside community of Bethany Beach. This historic resort town features a boardwalk, sandy beach, and restaurants, all the while embracing its own quiet style. Nearby Millsboro offers golf courses, a marina, and restaurants. Silver Woods offers the desirable area and amenities to make it a great active lifestyle community in Ocean View, DE. Check back soon for more information on the lifestyle in Silver Woods. Things are getting better as the club house and swimming pool are nearing completion. My original complaint about the "dry pond" behind our house is in the process of major modification. New plans have been drawn-up, permits issued and heavy equipment deployed. They have been hard at work for two weeks now and I anticipate another week or so and all the excavation will be completed. The final result will be a multi acre pond, filled with water, including water platings and a fountain for beautiful views from the rear of our house. In the near future, we should have the amenities we expected when we bought our house. Developer has ruined this community!!! He holds control of the HOA and won’t met with the community to review issues. He flat out does care!!! Great neighborhood but again the developer won’t complete projects he has promised for 8 plus years. He even raised HOA fees this year for a pool that was never being built this years. Our retirement home on a pond front lot has turned into a retirement home on an unsightly mud hole with stagnant puddles perfect for breeding Mosquitoes and developer/builder could care less. 55places.com is not affiliated with the developer(s) or homeowners association of Silver Woods. The information you submit is distributed to a 55places.com Partner Agent, who is a licensed real estate agent. The information regarding Silver Woods has not been verified or approved by the developer or homeowners association. Please verify all information prior to purchasing. 55places.com is not responsible for any errors regarding the information displayed on this website.